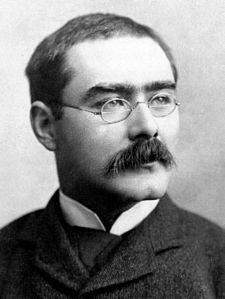 Joseph Rudyard Kipling was born on December 30, 1865, in Bombay, in the Bombay Presidency of British India, and dead on January 18, 1936 in London, was an English journalist, short-story writer, poet, and novelist. His parents, Alice Kipling (MacDonald) and John Lockwood Kipling, a sculptor and pottery designer, was the Principal and Professor of Architectural Sculpture at the newly founded Sir Jamsetjee Jeejebhoy School of Art in Bombay. 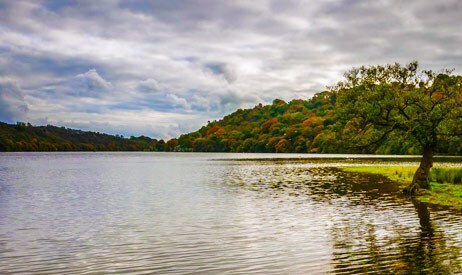 John Lockwood and Alice had met in 1863 and courted at Rudyard Lake in Rudyard, Staffordshire, England. They married and moved to India in 1865. They had been so moved by the beauty of the Rudyard Lake area that when their first child was born they referenced it when naming him. Kipling's works of fiction include «The Jungle Book» (1894), «The Jungle Book II» (1895), «Just so stories» (1902), «Puck of Pook's Hill» (1906). His poems include «Mandalay» (1890), «Gunga Din» (1892) and «If...you'll be a man, my son» (1910). And romas like «Kim» (1901), «The Man Who Would Be King» (1888) and the collection «Plain Tales from the Hills» (1888). He is regarded as a major innovator in the art of the short story; his children's books are classics of children's literature, and one critic described his work as exhibiting «a versatile and luminous narrative gift». Kipling was one of the most popular writers in the United Kingdom, in both prose and verse, in the late 19th and early 20th centuries. In 1907, at the age of 42, he was awarded the Nobel Prize in Literature, making him the first English-language writer to receive the prize and its youngest recipient to date. He was also sounded out for the British Poet Laureateship and on several occasions for a knighthood, both of which he declined. Rest if you must but don't you quit! If... you'll be a man, my son!